Get a free valuation and find out the value of your home today. Request a call back below. Find out the Value of Your House Today! I wanted to sell my house, and I was very pleased with the we buy any house service. Very quick. Kept us involved all through the sale. Here at Speed Property Buyers we offer many different options for selling your house fast without using the traditional estate agency methods. 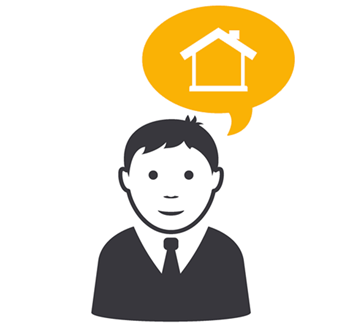 We will give you a free house price valuation whether you’re interested in selling your home or not. “How much is my house worth?” is a question we hear all the time and we’re happy to oblige. When we provide you with a free property valuation, we use expert online valuation tools that are only available to us. The result? You receive a figure from Speed Property Buyers that will be close or equal to a surveyor’s opinion. If you’re happy with the property valuation remember, we buy any house and can offer you cash for your home within 5 to 7 working days. The whole process is as simple as that! How Do I Value My House and Get a Good Price? The best way to do this is using our free house valuation service, once you’ve done this there are a few things you can do yourself. Firstly you can look at the prices of similar homes in the area your located, this will help you price your home in the current market. If you’re looking to achieve a quick house sale you should price your home below market value. Is There a Nationwide House Price Index? There are a few national house price index’s but we find that the Halifax house price index offers an in-depth release every month, reliably. Various factors can make your property worth less. These factors include crime levels in your area (which you can check at Police.uk), electrical pylons and flooding hot spots. Unclean homes and gardens can also make your home worth less! Estate agents will provide you with a house price valuation, or also known as appraisals. Keep in mind estate agents will value your house for marketing, not the actual value of the property. Simply, they don’t know how much you will achieve on the open market (we also offer other alternatives such as selling your property at auction and selling your inherited property), whereas Speed Property Buyers will supply you with a cash offer. There are other ways you can obtain your homes value, such as a RICS house price survey. These can cost around £300. Even with your own property valuation you will still have to locate a buyer, and many wish to have their own house price valuation also carried out. If you’re looking for a free house valuation and facing the threat of repossession then don’t hesitate to get in touch. Will Brexit Impact the Value of My Home? Brexit has everyone worried. The uncertainty extends to every aspect of everyday life, and the property market is no exception. The Treasury have predicted that house prices could drop up to a staggering 18% over the next two years as the economic cost could increase the cost of mortgages. If you’re not happy with a house valuation provided by a property buying company you can contact the following industry regulators and redress schemes.